This mini review by Dr Esther Vance and Professor Stephen Lord from the Falls and Balance Research Group at NeuRA looks at the effect of water-based exercises on fall risk factors. Exercise programmes for falls prevention that have been included in Cochrane reviews to date have only included land-based programmes. 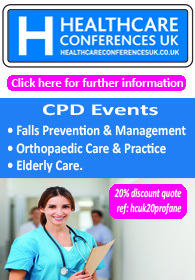 Furthermore, no randomised controlled trials of water based programmes have been conducted with falls as an outcome measure. The five studies selected for the review all involved community dwelling people aged over 40 years. Four of the five studies focused on specific populations: i.e. 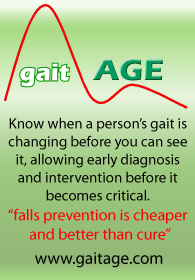 those with osteoarthritis, osteopenia or osteoporosis or an increased risk of falls. Positive outcomes of the studies include improvements in some measures of strength, balance, flexibility, fitness, falls efficacy and quality of life. In addition, high levels of adherence to the programmes (ranging from 65% to 82%) indicate that water exercise is an acceptable intervention for older people, including those with clinical conditions such as osteoarthritis. One study demonstrated that beneficial effects were only evident in the group randomised to water based exercise classes where an education session, including information on fall risk factors, prevention strategies, reinforcement with respect to translating the exercises to activities of daily living and further practice of the exercises on the land, was also provided. This indicates that in addition to water-based exercise, additional fall prevention components may be required to gain important fall prevention benefits. the pattern of beneficial effects across physical and emotional domains has been inconsistent. each study used different exercise protocols, different trial periods (6-12 weeks) and different outcome measures, which makes comparisons between the studies difficult. three studies contained sampling biases due to sub-optimal recruitment processes. two studies the assessors were not blinded to group allocation. The authors conclude that the research provides only limited evidence that water based exercise programmes can improve strength, balance and quality of life measures, and that the findings do not necessarily translate to preventing actual falls since the studies included in this review did not meet this recommended mode and volume of exercise, all being completed within 12 weeks. Click here to read the mini-review.